Recently, my brother has been hired in P.F. 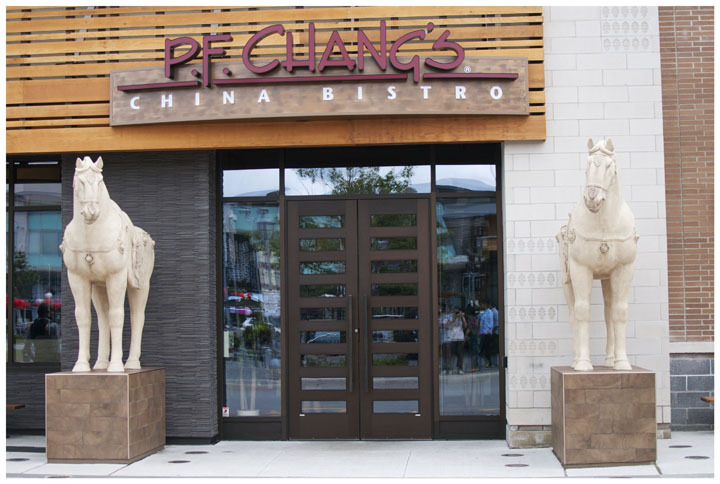 Chang’s, a newly opened fine dining restaurant here in Toronto. There’s actually P.F. Chang’s back in the Philippines but I didn’t have any idea so I didn’t know any of their dishes. But weeks ago, the family decided to eat there for lunch, which isn’t really a bad experience. Just a note, I always make sure I have my camera with me whenever I go out, or at least I try to bring it with me wherever I’ll go. Of course, it always depends on what I’ll do. Anyway, when we got there, we got to sit outside on the patio. It felt really nice with the weather that day – wasn’t too hot and it even rained a little bit. But with the nice weather, it was nice to eat outside. I guess the only problem we had that time was when it got a little bit cloudy and it poured a little, and the little bee that’s going around our table. Our brother has been bringing home food when he comes from work, so we tried new dishes this time. 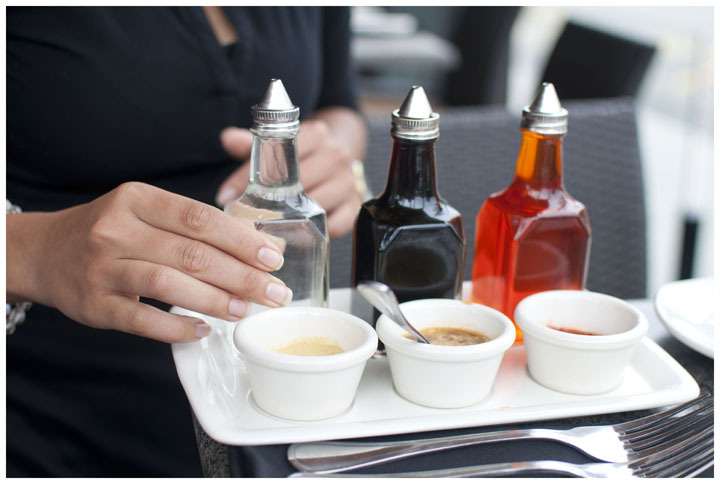 But before we got to order, we were taught on how to mix the spices, on how we prefer it. So there’s the White Vinegar (clear), Soy Souce (black), and the Chili Sauce (red). So we just mix it on how we prefer it, if we like it really spicy, or just enough to add flavor to our food. 1) Chicken Lettuce Wrap – So it’s actually what it’s called. Basically like a sandwich lettuce. There’s a chicken mix and you use the lettuce to wrap around it. 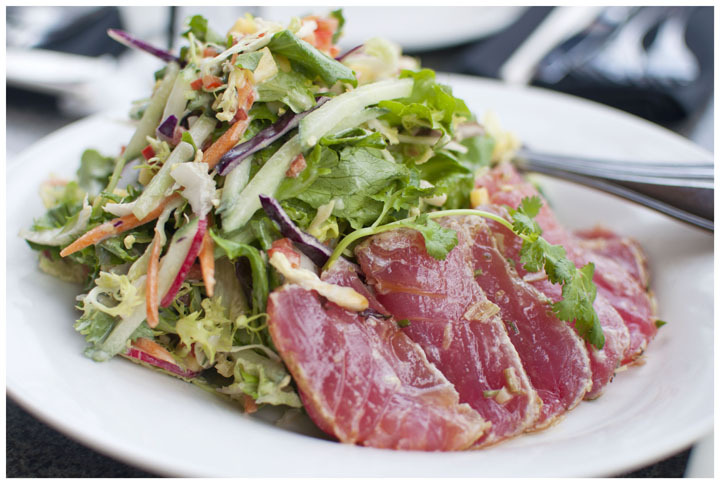 2) Ahi Tuna Salad – I’ve been eating any salad ever since we got here, so I actually enjoyed this one. It’s a really good salad. The same as the first one, the name speaks for itself. 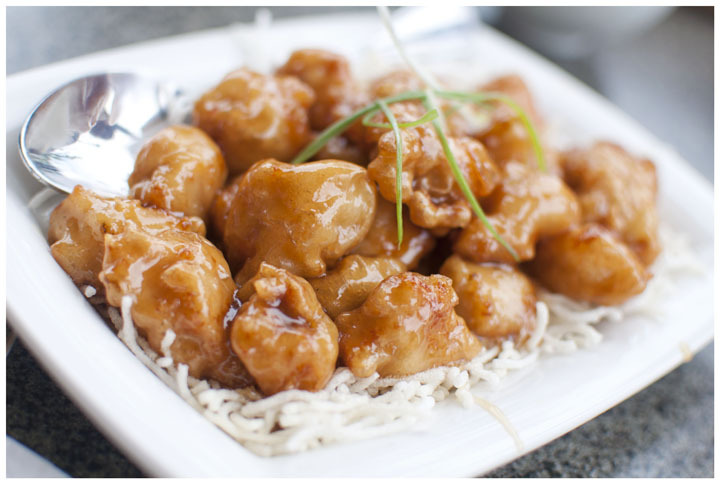 1) Crispy Honey Chicken – I really enjoyed eating this one. It kind of tasted like one of my favorite dishes – lemon chicken – but of course it’s a different dish. But it had that taste. It goes with rice sticks which match perfectly with it. 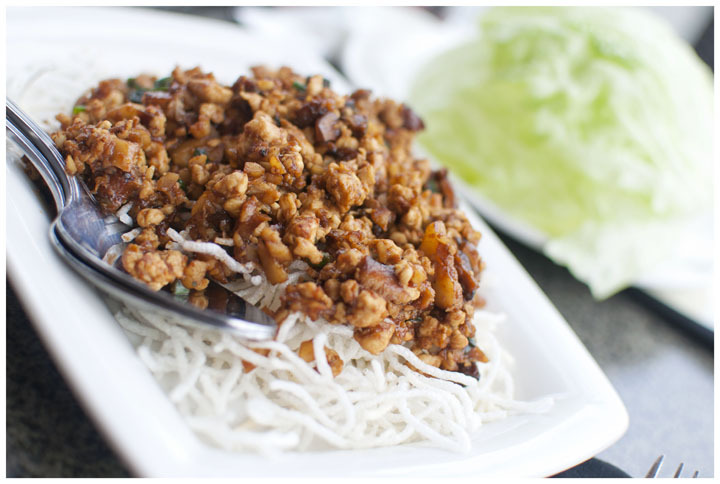 2) Dandan Noodles – I’m not a big fan of noodle dishes, but this one is really good. I wasn’t able to get a nice photo of the dish, but this looks better when it’s already being mixed. Considering there were 5 of us, we only ordered 2 dishes of appetizers, and 2 dishes for the main dishes. 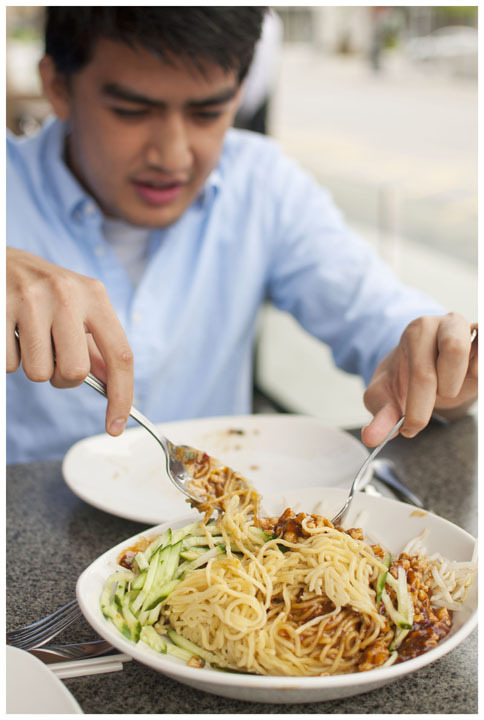 Dishes here come in big sizes, and are really worth the price. 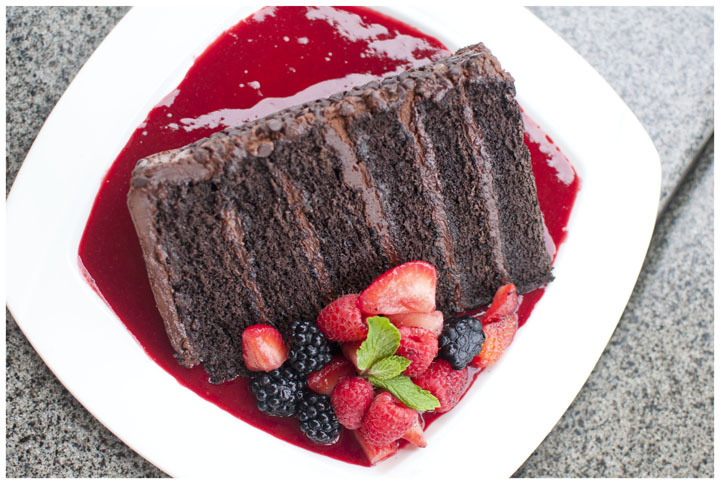 Of course, we ordered a dish of dessert: The Great Wall of Chocolate. It’s one of the desserts that I’m always looking for, because I really like how it was prepared on the dish, and how it tasted of course. 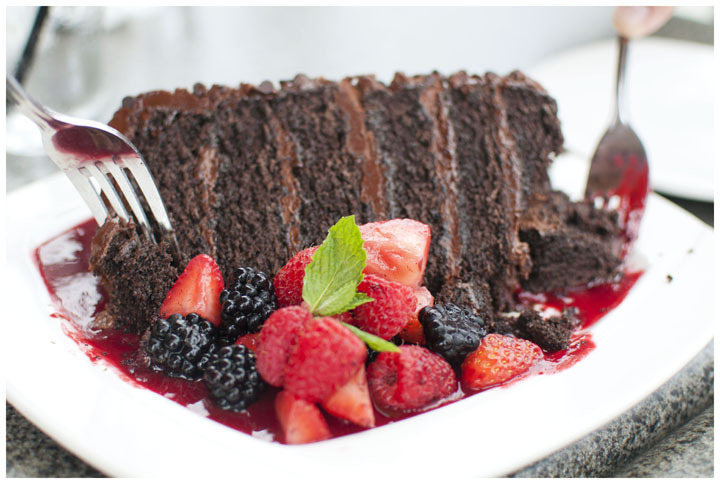 It’s this big chocolate slice of cake, with strawberries and blueberries on the side, and raspberry on the bottom to add flavor to the dessert, and I guess to add contrast so as to not make the dessert too sweet. 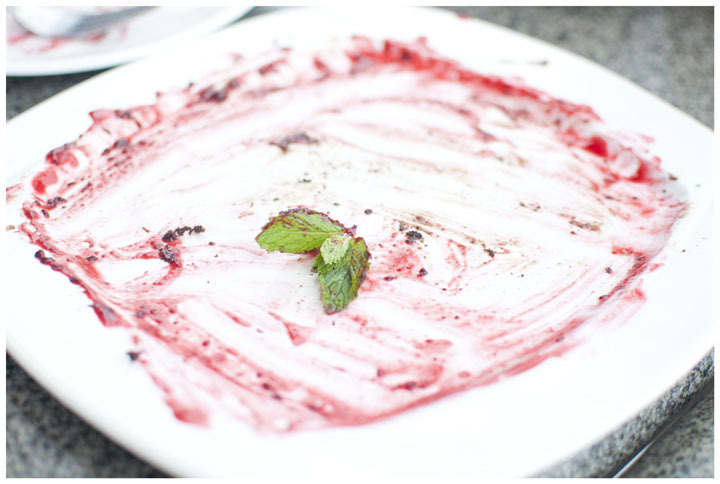 I remember what my cousins told me, when it comes to desserts, it’s like there’s another area for that one. If you’re full with the other dishes, there’s always space for dessert. 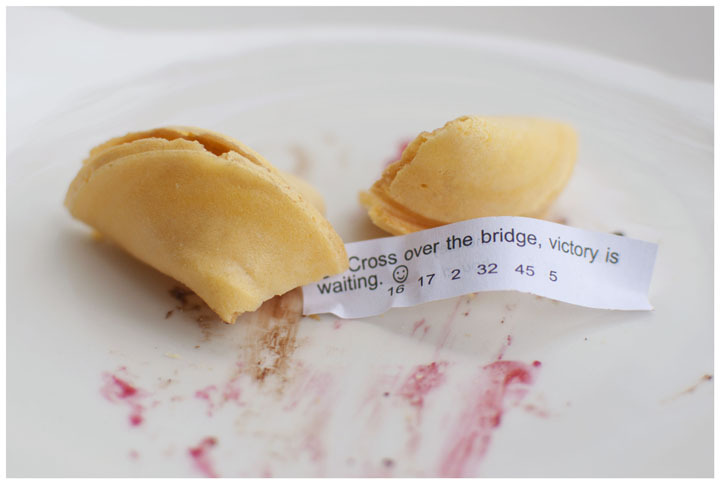 Before leaving, we were also given these fortune cookies. I always end up keeping these little notes, but I have yet to find where I placed the others I got before.